If you are seeking out quality and luxurious travel, then your top priority should be a limousine service. A prompt airport limo service can pick you up from the terminal and take you to your destination. This will take the hassle of driving yourself through the city or rely on taxis. All you have to do is choose the right type of fleet for your needs. A luxury limo ride symbolizes elegance and status. Hiring a car service provides the highest level of comfort for the passenger. It is also an excellent way of maintaining your privacy while travelling to and from airports. 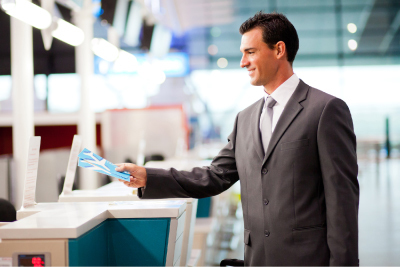 Car services aim at providing customers the best facilities for airport pick-up and drop-off. Most reputable companies make sure their driver arrives on time and greets you the moment you arrive. They also keep track of flight timings and status so they can adjust their arrival time accordingly. Traditionally, only wealthy people were able to use limousine services. However, as more and more companies made this type of transportation available, it became affordable for ordinary people. Anyone can use a limousine to get picked up from the terminal, and the best thing about this service is that most companies offer incentives and discounts for those who travel regularly to and from airports. You can hire limousine services for different durations as per your affordability and preferences. You can book a car for a few hours or even a week, depending on your own needs. These types of car services provide fully trained chauffeurs who are experienced in the transport industry. There is no need to worry about your luggage as the driver will take care of your goods in an efficient manner. You can have the choice between a wide variety of vehicles including SUVs, cars, vans, buses, and corporate cars. If you are travelling with a group of people, it is worth hiring a stretch limo that can seat you comfortably. The cheapest option would be to split the cost between all of you in order to save money. Choosing a licensed and insured transportation company will save you a lot of hassle and trouble. Most companies provide all the necessary paperwork as required by law to ensure you have a trouble-free ride. Their main priority is to make the journey as comfortable and relaxing as possible so you can browse the internet or watch TV in the car. As more and more people opt for luxury travel to and from airports, limousine services have taken the step to equip their vehicles with high-tech facilities such as mini bars, TV, music, and refreshments. A good company should offer customers plenty of time to negotiate the price. When selecting the right provider, you should have the feeling of personal satisfaction. Remember that in order to save money, you should take your time in choosing the right transportation provider. Take into account their customer reviews and time efficiency as these are the top factors of picking the most suitable company for your needs.